Gum disease is an infection that develops in the gum tissue when plaque and tarter are not removed with proper oral hygiene. The bacteria in the buildup causes the gums to become infected, inflamed, and irritated. When detected early, the infection is stopped, reversing damage and restoring oral health. Unfortunately, too many do not recognize the symptoms of early gum disease. In addition, a large portion of people do not maintain regular dental checkups. As a result, the infection goes untreated, causing significant damage, including the eventual loss of teeth. However, the implications of the infection extend beyond oral health. It is proven that the bacteria found in gum disease can cause cardiovascular disease, Alzheimer’s disease, and many other serious medical conditions. Who Can Get Gum Disease? Anyone can develop gum disease. However, there are certain risk factors that increase your likeliness for getting the infection, such as tobacco use. Tobacco is among the leading risk factors as it lowers the body’s ability to heal and fight infections. As a result, gum disease therapy is not as effective in tobacco users as well. Poor oral hygiene, such as not flossing daily, also increases the risk for periodontal disease. As plaque and tarter build along the gum line, bacteria flourishes and becomes trapped. Certain medical conditions, medications, genetics, and even hormonal changes further accelerate the development of gum disease. The early stages of gum disease, known as gingivitis, can easily be treated with a dental cleaning, known as root planing and scaling. With the right aftercare, the infection will be reversed. However, if the infection progresses to periodontitis, you will need treatment from a periodontist. A periodontist is specially trained to treat the infection while providing the necessary procedures to restore oral health. 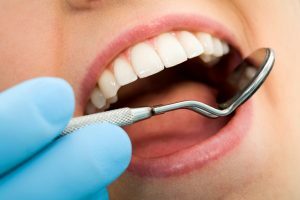 At Rocky Mountain Periodontal Specialists, we offer the initial cleaning needed to treat gingivitis, while offering more advanced therapies to aggressively treat the later stages of the infection. We will repair any damage that has occurred to restore complete dental health. Although anyone can get gum disease, you can significantly lower your risk by flossing your teeth each day. In addition, you need to brush your teeth twice a day and visit your dentist twice a year for regular checkups and cleanings. Do not let gum disease negatively impact your oral and overall health. Contact our office today for gum disease therapy.